OTTAWA - The federal privacy watchdog says national security agencies should be required to destroy personal information once they determine someone is not a threat. 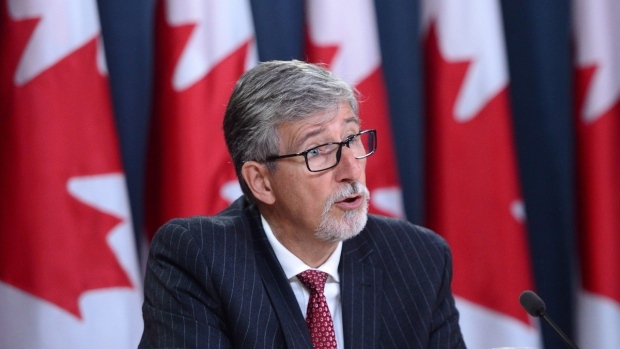 Privacy commissioner Daniel Therrien says the Liberal government's security bill should be amended to ensure prompt disposal of personal data it does not really need. Therrien tells the House of Commons public safety committee today that, otherwise, national security agencies will be able to keep a profile on all of us. The Liberal government's sweeping security legislation, tabled in June, fleshes out campaign promises to revise elements of a contentious omnibus bill brought in by the Harper government after a gunman stormed Parliament Hill in October 2014. The legislation being studied by the public safety committee would tighten provisions that deal with information sharing between federal agencies. Therrien says the government needs to go further to achieve the right balance between security and privacy. Here are 10 things to know about the Liberal government's security bill, introduced in June and now being studied by the House of Commons public safety committee. Limit, but not scrap, a measure from the Harper Conservatives allowing the Canadian Security Intelligence Service to disrupt terror plots, not just gather information about them. Amend other contentious provisions of existing legislation that deal with information-sharing, terrorist propaganda and promotion of terrorism. Roll the functions of existing watchdogs into a super-agency known as the National Security and Intelligence Review Agency. Empower the new watchdog to ensure more than a dozen federal security organizations comply with the law. Create an intelligence commissioner, an independent agent who would authorize certain intelligence and cybersecurity activities -- a measure intended to boost public confidence. Allow the public safety minister to assure parents their child is not on the no-fly list when confusion arises at the airport. Modernize the CSIS Act, establishing in law a regime authorizing activities -- such as infiltration of a terrorist cell -- that might otherwise break the law. Require CSIS to seek a judge's permission to keep datasets that primarily contain personal information about Canadians. Give the Communications Security Establishment's cyberspies power to take action against online threats to Canadian interests. Repeal a provision first passed following the 9/11 terrorist attacks that required a person to appear before a judge and answer questions.